Titanium Lofts is a new building located within the historic Lodo district just two blocks from Coors Field. Named for it's use of titanium metal columns, the building features 21st century amenities but retains much of the style and open design of historic lofts. 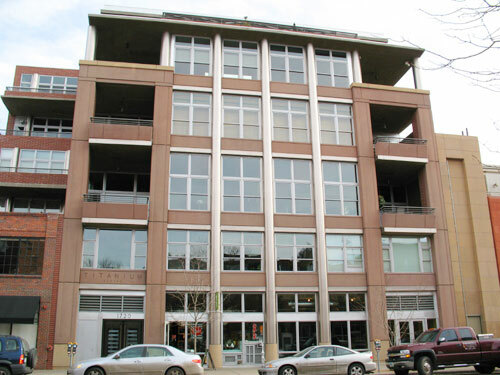 The project, completed in 2002, includes 6 floors with a mix of office/retail on lower two floors and 24 residential lofts on the upper floors. The facade of the original Wazee Deco building was retained in the construction of the new building. Several of the penthouse units offer spectacular views of the city and Coors Field, and look over many of the surrounding historic buildings. 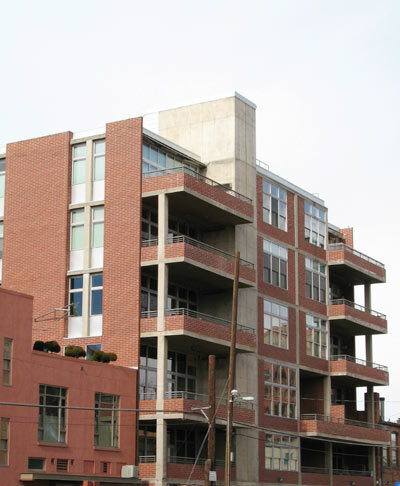 Titanium Lofts was developed by John Hickenlooper, currently Denver's mayor, and was his residence until the latter part of 2006. Mr. Hickenlooper is also the developer Wynkoop Brewing Company & Lofts and is credited for helping revive Denver's Lower Downtown. For additional interior photos, see the Titanium Lofts Featured Rental.